The bells are jingling, the turkey has been eaten, the chestnuts are roasting and holiday party season is in full effect. As the days creep ever closer to actual winter, we figured you could use some help choosing between the plethora of holiday seasonal ciders produced and available right here in the Pacific Northwest. Each of these ciders were sampled by a team of drinking experts (me, my brother, sister, and brother in law) and each of them chimed in from their gin- or beer-fueled area of expertise. They tolerated some, liked a few, and hated others, but none of them felt the need to help me finish all nine bottles. I did, over that afternoon, evening and following day, and I’m proud to report they tasted just as good from the first sip to the last. Ho ho ho, let’s get our drink on. 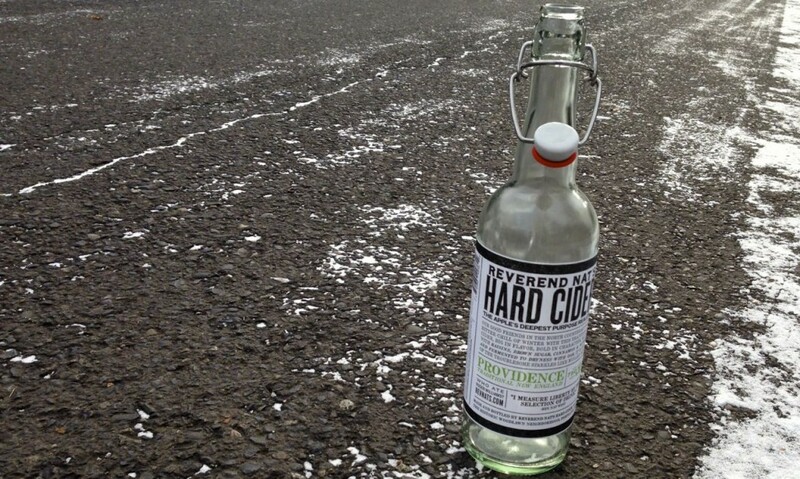 We started with Providence (2012) from Reverend Nat’s Hard Cider. 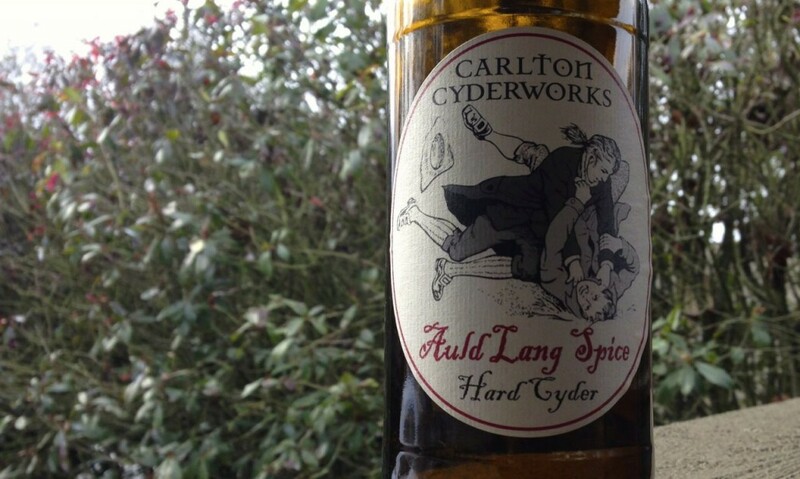 This holiday cider, though it’s closer to mulled wine, was one of the first “fancy” ciders I tried after moving to Portland. It’s strong (10% ABV), smells a little like fuel, and is easily the best old-fashioned cough medicine ever. My tasting partners would have preferred it a little thicker, and I could see it being served with eggnog or even over ice cream. This annual treat won’t make it to stores in 2013, as Nat decided not to bottle this year’s batch after it came out tasting a bit more French then he’d prefer. If you like the Danish treat Glögg, you’ll love this in 2014. 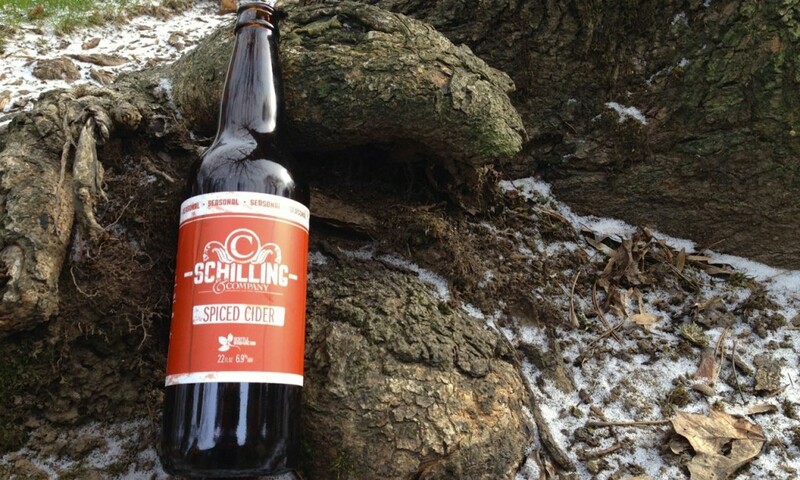 Next up was my wife’s favorite, Schilling Cider’s Spiced. Available in 22-ounce bottles, this seasonal is clove first with a syrupy mouthfeel and cinnamon (my brother called it potpourri) finish. Like Providence above, it can be served chilled or 140+, which is how we had it. Every group I’ve shared this with has loved it, so if you’re interested and find this 6.5% ABV seasonal at your local bottle shop, buy more than one. 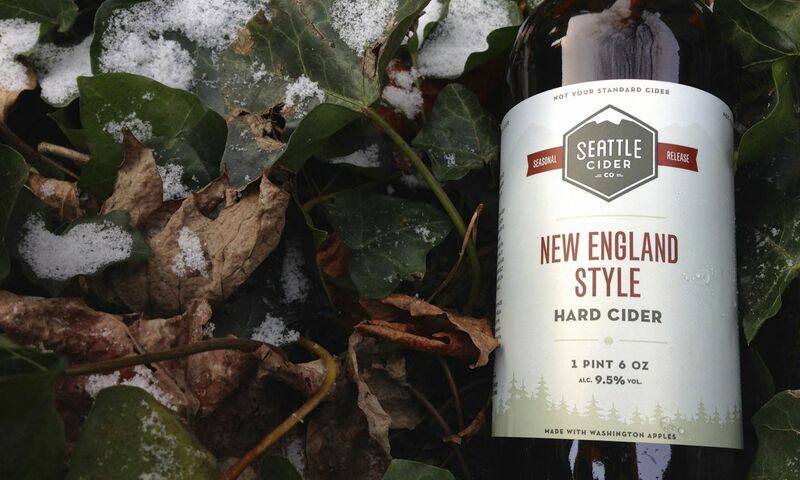 Newcomer (well, since August) Seattle Cider Company’s New England style cider was third on our list. Promising a “combination of brown sugar and raisins, [with] notes of vanilla, oak and a clean toast”, this semi-dry concoction has a bubbly mouthfeel and fruity touch, with almost too-tame apple finish. This feels like they nailed the process, but didn’t trust their drinkers to appreciate strong flavors. Smells nice, though. 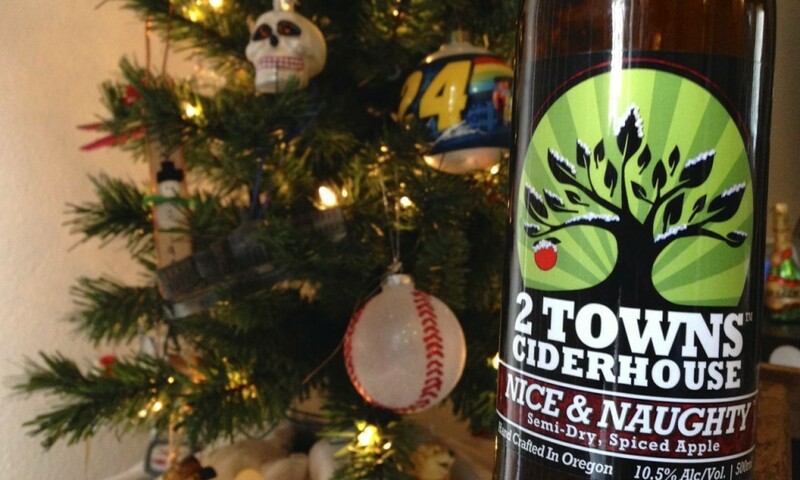 Packed full of pine, cloves, cinnamon, nutmeg (it’s complex), 2 Towns Ciderhouse Nice & Naughty is the first holiday seasonal I give experience cider fans. Bubbly throughout without harshness, this blend’s spicy, almost bitter, finish prompted a few tasters to wonder if I had slipped them apple cider vinegar with a plenty of alcohol content. Then they smiled, and took another drink. I took two. 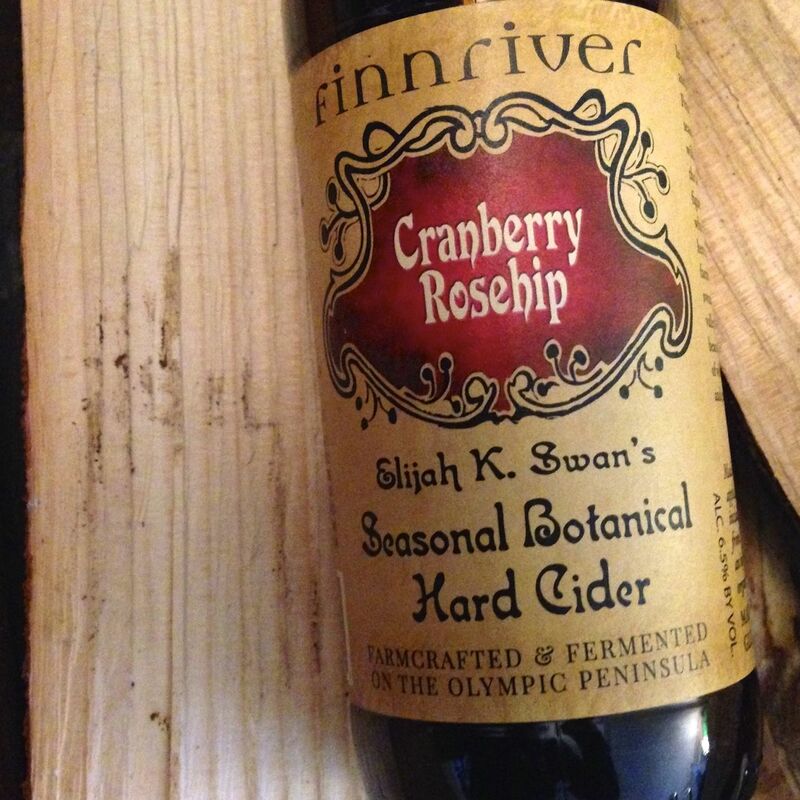 I wasn’t going to include Finnriver’s Cranberry Rosehip in this article because, well, it’s not really a holiday spice. No nutmeg, no cloves and no cinnamon. It wasn’t until Bushwhacker co-owner Erin reminded me that cranberry is a holiday flavor that I added it to my collection, and I’m glad I did. This mix starts tart, finishes sweet right at the back of the tongue, and is pleasantly carbonated without making any of us want to belch. Most tasters couldn’t taste any apple, but loved the cranberry throughout. 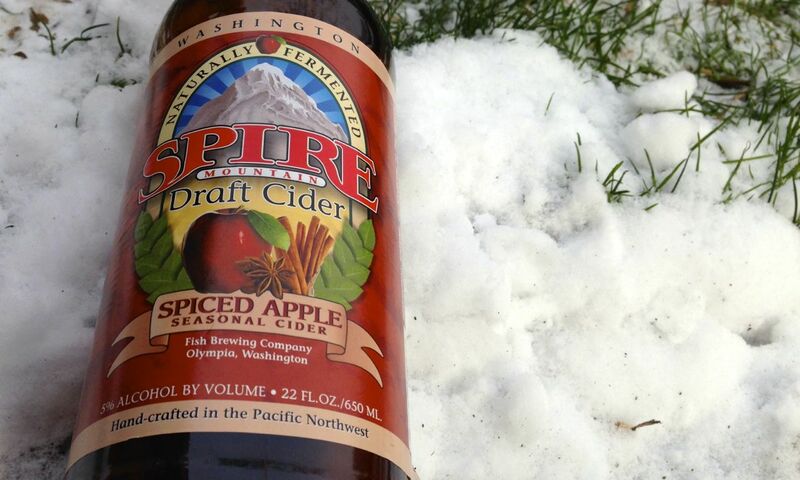 With apologies to my running buddy Josh, I wasn’t able to finish Spire’s Mountain Spiced Apple Cider. While some people may like the cinnamon cola taste, my tasters and I aren’t included that group. It was called both “very syrupy” and “like black licorice, but not terrible”, so if that’s your thing, more power to you. Thankfully, it’s rather inexpensive, so trying a bottle out won’t make you hate yourself. Random thought I wish I had tried: maybe it’s better warm. 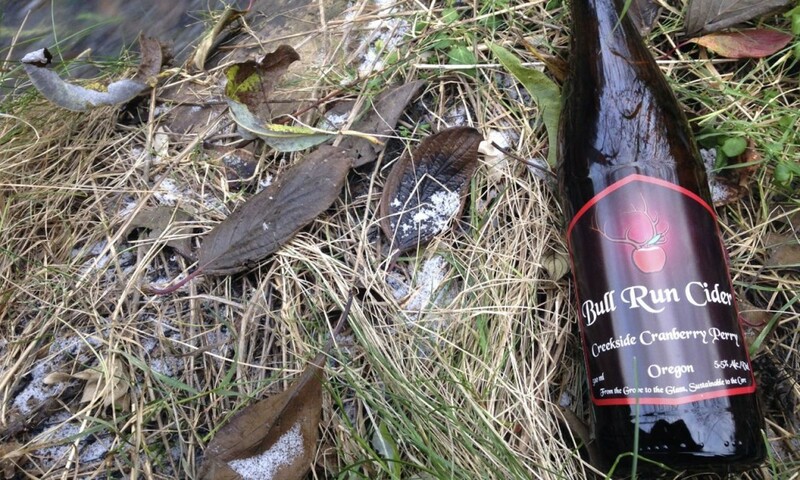 Should Old Acquaintance be forgot, and never thought upon: just tell that old acquaintance to release a scrumptious holiday cider and we’ll rekindle our memories. After a strange summer that left Carlton Cyderworks without a website for more then a few days, I was pleasantly surprised to see a new style in stores. The Auld Lang Spice, which tastes like apple pie filling with more apple pie filling without all the sugar, smells so damn good I wish I could make candles of it. In short, cider that smells and tastes like apple pie is fun to drink. My sister would also like to me to remind everyone that crabapples hurt when thrown at her by her older brother (NOT ME). 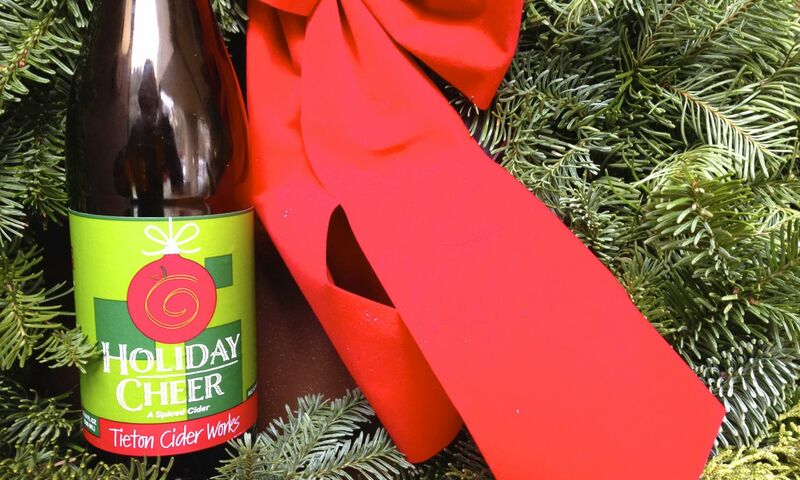 Called the best holiday seasonal by more than one cider fan and maker I know, Tieton’s Holiday Cheer takes the “best aroma” prize if we had one. Though the apple flavor is a bit weak, it’s well balanced from start to finish and lighter than most of this list. If I could pick one that most reminded me of graham cracker houses (Hurst tradition) eggnog, pine, and whatever other Christmas scents prevalent at my parents’ house, this would be it. For next year, I plan to do this a little different, as my wife had a better set of guide criteria, which include: how well the styles pair with food, do they invoke conversation about taste, are they better in limited quantities, does the mouthfeel allow for conversation and a few other hoity-toity ideas. Until then, Merry Christmas, Happy New Year’s, and all those other holidays people out there celebrate.